One of the top computer architecture researchers of her generation, Dr. Natalie Enright Jerger is an associate professor at the University of Toronto’s Edward S. Rogers Sr. Department of Electrical and Computer Engineering. She was awarded a Sloan Research Fellowship for her vital work in finding more efficient ways for networks on computer processor chips to communicate. As computing systems grow larger and more complex and more processor cores continue to be crammed onto on a single chip, making those processors talk to each other has become a key impediment to future progress. Dr. Enright Jerger’s work focuses on tackling three challenges: improving communication between cores, caches and memory; streamlining caching protocols; and improving parallel programming. Holder of a bachelor of science from Purdue University in Indiana, and a PhD in computer architecture from the University of Wisconsin-Madison, Dr. Enright Jerger joined the University of Toronto in 2009. Awarded the Ontario Ministry of Research and Innovation Early Researcher Award in 2012, she also received the 2014 Professional Engineers Ontario Engineering Medal – Young Engineer for exceptional achievements in the field. 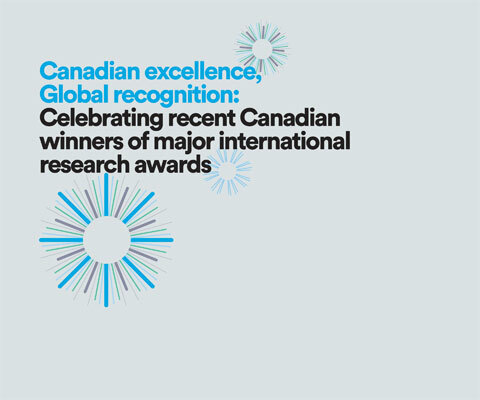 * Natalie Enright-Jerger is one of 24 Canadian winners of major international research awards in 2015 featured in the publication Canadian excellence, Global recognition: Celebrating recent Canadian winners of major international research awards.